The art of deliberate creation is a very popular concept nowadays, but people’s difficulty in putting this knowledge into action has caused the production of many self-help products that promises to provide you the advanced law of attraction techniques to manifest wealth, health, love and whatever you desire. One such program is “Cosmic Ordering Secrets” created by Zoey Knightley, who is a life coach and motivational speaker. The author promises to give you some less known methods using which you can get what you want in life, she calls it the cosmic ordering principles. What Is Cosmic Ordering Secret All About? 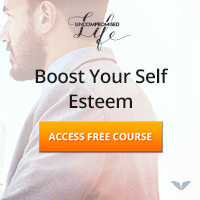 This program is specially prepared to help you in manifesting your wishes; you will be getting to learn some methods that can quicken the process of bringing what you have dreamed into your reality. Zoey says that the methods that she will be teaching you in this program will help you to properly communicate your desires to the universe and you will learn to become aligned with your dreams so that it could become your reality. She shows you how set your dreams by fueling it with the feelings, because our reality is shaped by what we believe and feel. 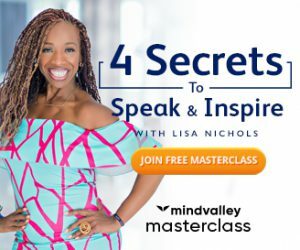 According to the author the law of attraction methods like vision boards, creative visualization and affirmations are not of much use without the secrets that she will be revealing in the program. Honestly, you don’t have to believe that, they do work, with or without what she teaches in this course, however her tips indeed enhances the effectiveness of those techniques. Proper ways to work with the universal laws to achieve your goals. A 7 step wealth manifesting process. Techniques to connect with the higher power and ask what you want in more effective ways. Key to invite more unconditional love and in your life. Making the most of your creative visualization process. Advice on making a vision board that really works. Message that a “burning desire” could work in the opposite way and how it has been a major reason of failure for those who tried LOA methods. Deep information on the power of your subconscious mind and its connection with all that is. A 7 step manifestation process for attracting an ideal partner. These are some techniques using which you will be able to clear the blocks in your energy system that might be blocking your connection with the universe and thus causing trouble in the manifestation process. Definitely the more good emotions we will have, the more are the chances of quick manifestation and as we know our emotional state depends a lot on our body’s workings. Get some diet advice here for keeping your body at the ideal state. An interesting book with 101 tips, methods and examples that teaches you the right way to ask from the universe, so that your desires get manifested quickly. First of all, I would like you to know that there is no secret magical key to use the law of attraction that you might not already know if you have bought any good self-help program before. The way Zoey present things and what she makes one to understand through this material is definitely appreciable. The techniques and exercises will help you to properly use the LOA principles. If you are expecting some secret method for quick manifestation, then I won’t advise you to buy this product, however if you are someone like me who likes to gain more knowledge on human potential and the laws of the universe then this product will look good in your collections. Considering the low price and that you are getting some very good tips on manifestation and intention setting, I would surely recommend this product to you. To know more about this product, you can visit the product website here.